OMG… Giuseppe Zanotti really knows how to liven up my spirit with such divine creations! 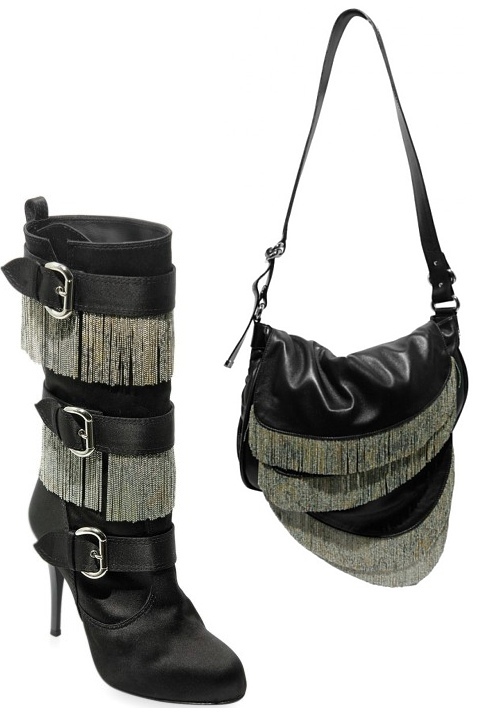 I squealed with joy when I saw the Triple Buckle Metal Fringe Suede Boots and Silver Fringe Shoulder Bag by Giuseppe Zanotti. They are definitely the queen of all fringe things and the dream accessories for fringe lovers. Can’t you just feel the dangling metal on your fingertips… so satisfying… so tres chic! Yes, they are ridiculously expensive but exceptional pieces don’t come cheap… yeah, we all know… sigh. If you wanna check out luxury goods (or just simply fantasize…), LUISAVIAROMA is one of the best luxury online boutiques. 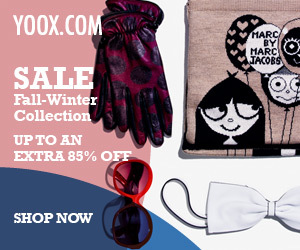 They offer International FREE SHIPPING plus you can score some of the hottest luxe fashion on sale. See the latest trends from the new Fall 09 Collections!